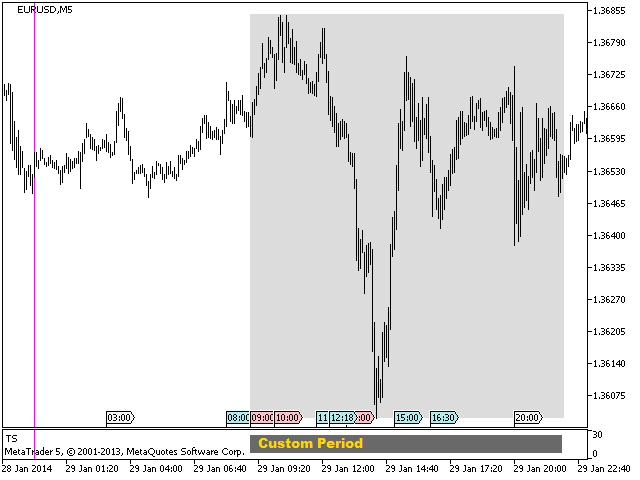 Trading Sessions Pro Demo is a demo version of the indicator of trade sessions. 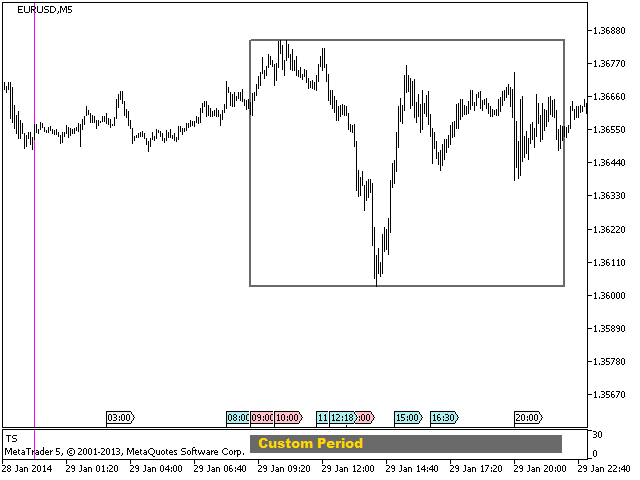 Limitations of the demo version: no alert on trade session opening, works on USDCAD only. The indicator allows you to conveniently manage display of trading sessions on the chart. There is no need to enter the settings each time. Just click the necessary trading session in the lower window and it is highlighted by the rectangle on the chart! The indicator has two modes of defining the trading terminal's time offset relative to UTC (GMT). You can use offset autodetection by selecting Set Determination Time Offset = Auto From System in the settings, as well as set a manual offset. When selecting Auto From System, make sure that date/time and time zone are correct on your PC! If you want to use the indicator for analysis on Saturdays and Sundays, select the manual setting of the terminal time offset relative to UTC Set Determination Time Offset = Manual Setting. Server Time Offset From UTC (Manual) - offset between the terminal time and UTC and NOT a time zone you are currently located in! Ability to set trading session open and close time. The time is set according to UTC! Max Day's – number of days on history, for which calculation is performed. It is recommended to set not more than 3 days.